It is very important to stay hydrated while touring the parks. The Florida heat can be brutal, and drinking plenty of water is a necessity. However, there are several different ways to get this water when visiting Walt Disney World. I am going to discuss the different options, and make some recommendations today. 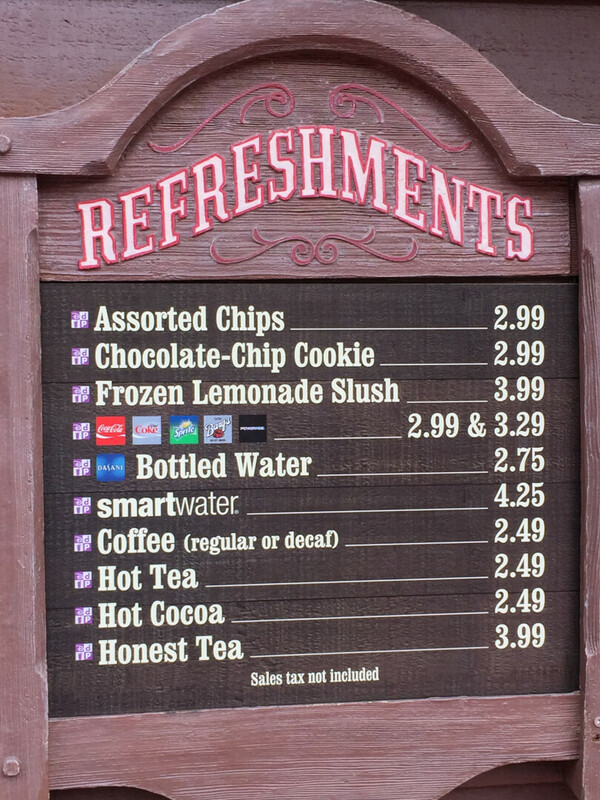 First off, it is very easy to find bottled water for sale at all of the parks. It can be purchased at just about every quick service restaurant, snack stands, and even portable drink kiosks. The only issue is that this water can be very expensive. A “regular” bottle of Dasani water is sold for $2.75, while smartwater goes for $4.25. I’d have to question how “smart” someone is for spending that kind of money on water! You can see that even one water stop can cost a family between $15 and $25. Personally, I’d rather save that money for food and souvenirs. So, let’s talk about other options for obtaining agua. The quick and obvious choice is to head to a water fountain, which are typically located near the restrooms. However, for those that have done this, you will agree that it is rarely cold and refreshing. Also, the Florida tap water sometimes has a funky taste when it is lukewarm. So, the best option would be grabbing a free cup of ice water at a snack stand or quick service spot. 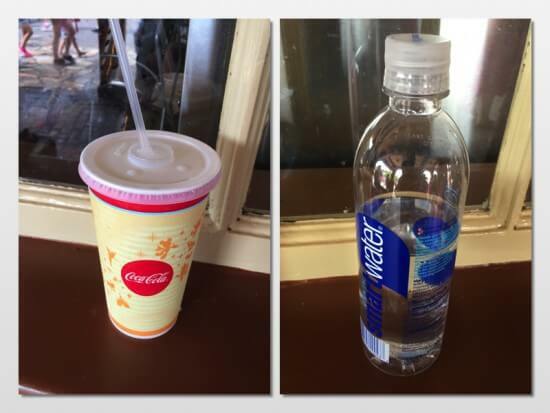 This is an often overlooked perk that Disney provides, but it can make a big difference in your hydration as well as your pocket book. Now, let me give you some tips on finding the ice water. First and foremost, you need to head to a location that sells “fountain” drinks. There are many spots that may surprise you when you find out they don’t offer this. One that comes to mind is the new Aloha Isle location in Adventureland. They have Dole Whips, specialty drinks, and bottled water, but no fountain drinks. You certainly don’t want to get into a long line when you are hot and thirsty, only to find out that they don’t serve ice water! 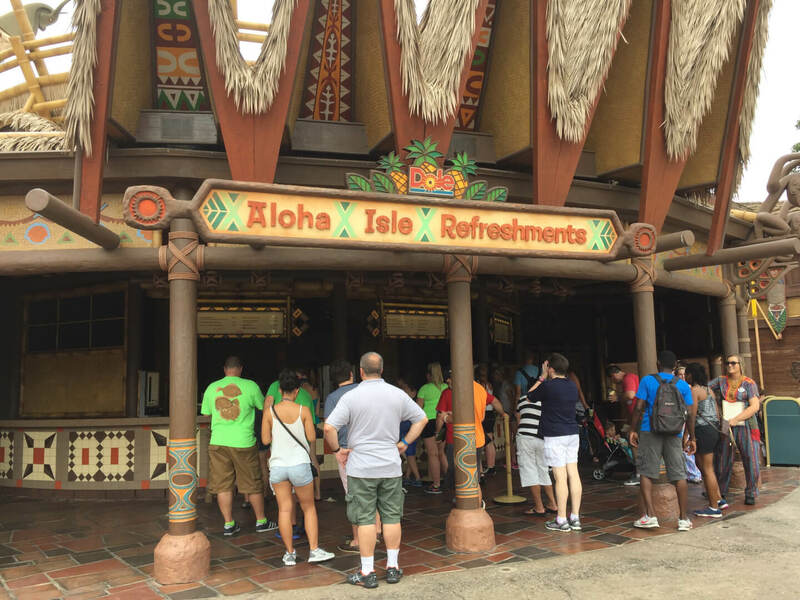 Aloha Isle Refreshments – No Ice Water! Another thing to think about when looking for ice water is the time of day. 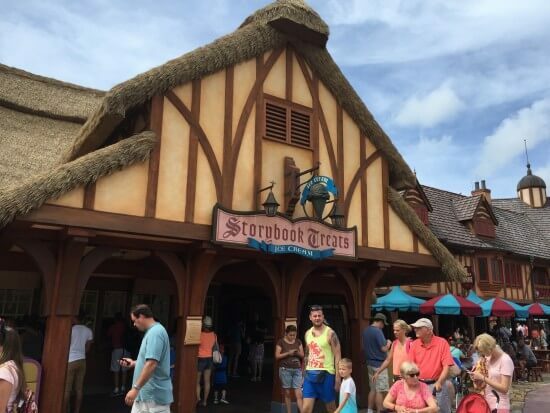 Many of the snack stands and quick service spots don’t open until 11:00 much of the time. So, you’ll want to know where to head early in the day. One good example of this can be found in Fantasyland at the Magic Kingdom. There really isn’t much open in the way of snack stands in the morning. 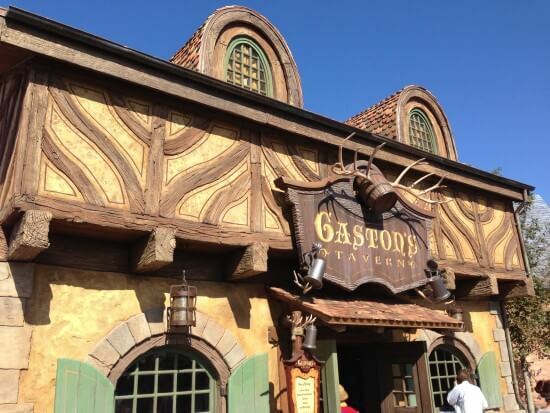 However, you can make your way over to Gaston’s Tavern where the ice water is flowing early. It is also the spot to get a delicious warm cinnamon roll! 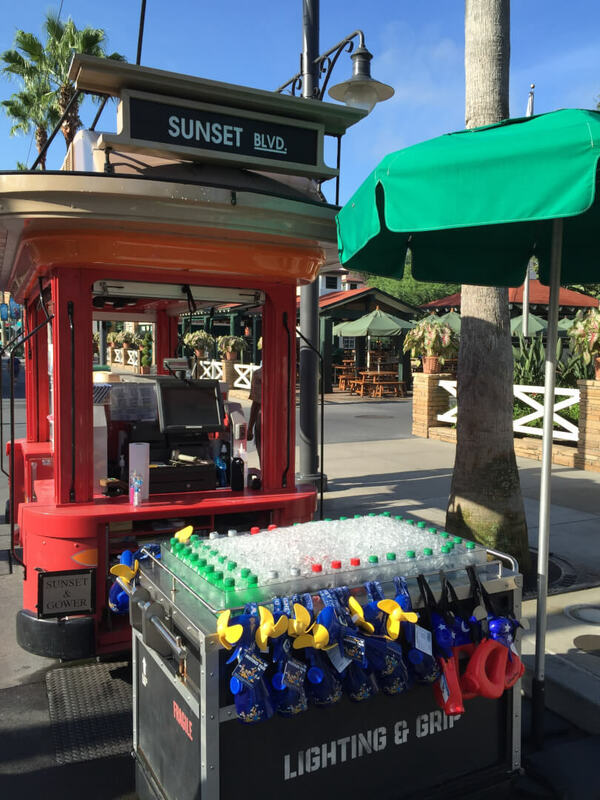 The next time you are at one of the Disney parks, consider enjoying some free ice water. It is certainly a good alternative to spending a small fortune on the bottled water, and it even stays cold longer! I hope you enjoy “Tour Guide Tuesday.” If you want additional tips while you’re in the parks, WDW Guided Tours is happy to help! I took full advantage of the “free ice water” perk during my WDW trip last week. I brought a water bottle and emptied the water into it and added a few Dasani drops (pink lemonade) to make it much more tasty. I think it also helped cut down on the Orlando water aftertaste. I did purchase a frozen lemonade at Columbia Harbor House, but the free water helped keep my drink budget way, way down overall. I’m sorry if this seems like a silly question… but how exactly do you ask for it? I’m not american and I’m always afraid of looking impolite or embarrassing myself for asking something for free. Should I always ask for it along with something else that I’m paying for? Thanks for the post! Thats not a silly question at all. You just have to ask for “ice water.” You don’t have to mention the word “free” as it is implied. If you ask for “bottled water,” then you will pay. Thanks for reading!